A few weeks ago we trimmed the scapes off the growing garlic. 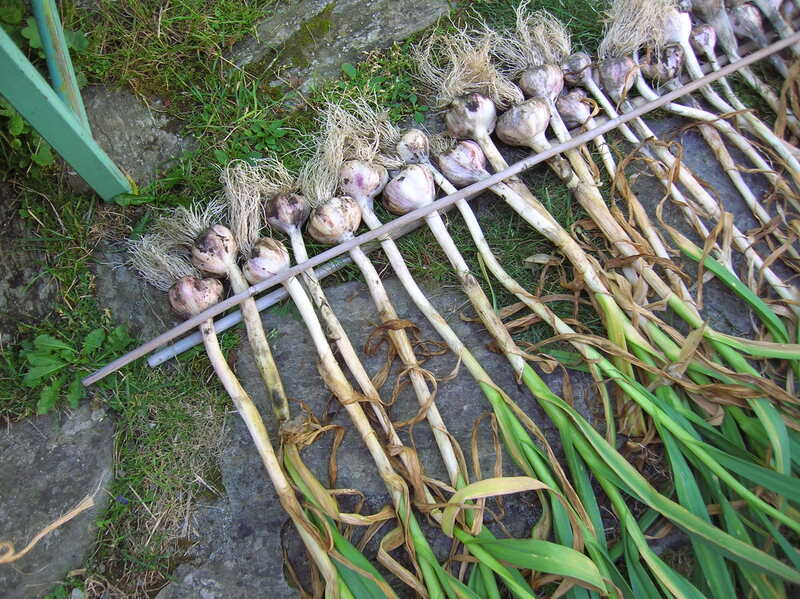 Removing the scapes, or bloom buds from the garlic, allows the plant to use its energy to create larger bulbs, rather than use it to produce flowers. Don’t discard those fresh, garlicy scapes. Instead chop finely and use them in salad and pasta recipes for example. Saute the chopped scapes to add to vegetable dishes and casseroles. 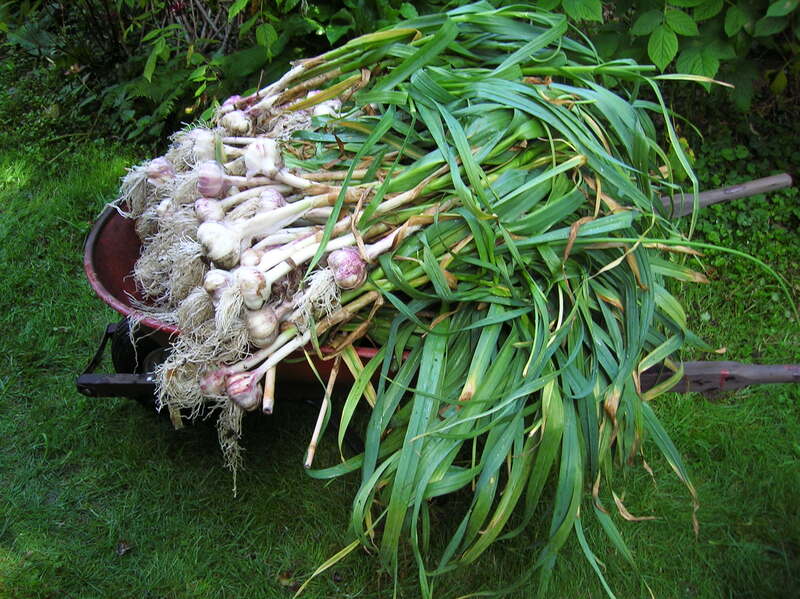 By July garlic crops should be ready for harvest. You’ll know when it’s time when the foliage begins to brown up a bit. I say “a bit,” because it is important to harvest the garlic long before all the foliage turns brown. The garlic foliage should be mostly green. I like to use a stout digging fork to dig down deep and loosen the soil enough so the whole plant can be lifted out. Shake off the dirt and wash the heads well. and place the second stick or stake on top. Then tie the ends together, in the middle too, to keep the heads captive between the two. 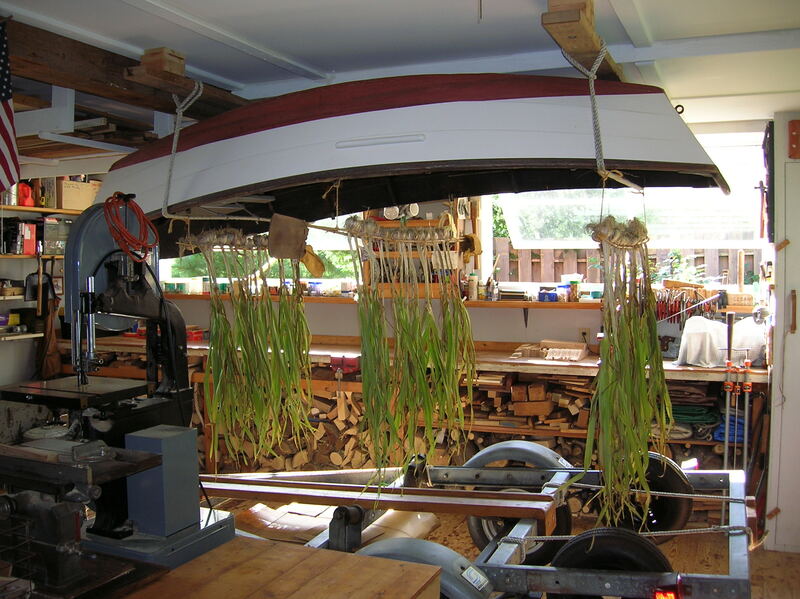 Next, hang the rack of garlic to cure in a cool, dry place out of direct sunlight, until the foliage turns brown and dry. When the garlic is cured, trim off foliage and trim roots. Store in a cool, dry location. 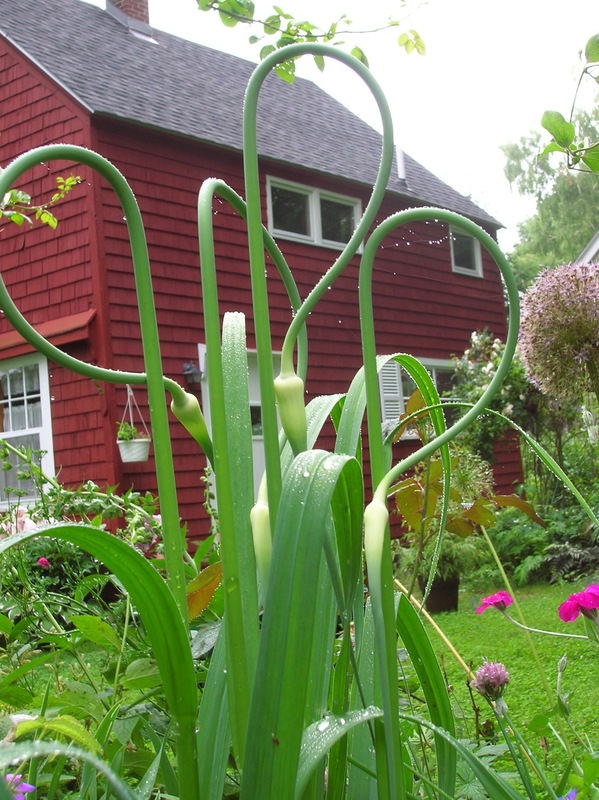 Or you can braid the garlic when the foliage is still green. 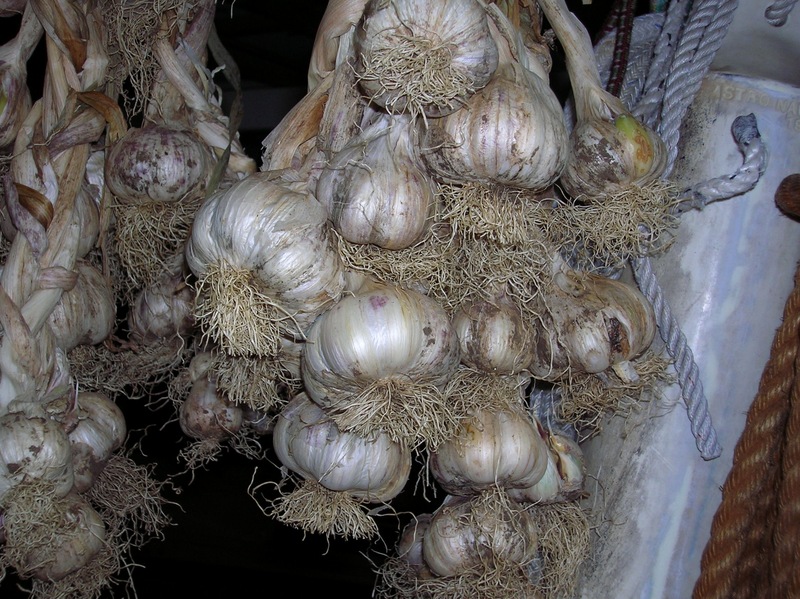 After braiding, hang the garlic in a cool and dry location out of direct sunlight. Your garlic can be used now or kept for use over the coming months.